LLanbedr was beautiful, the cabin was cosy, and the children made full use of the hot tub. 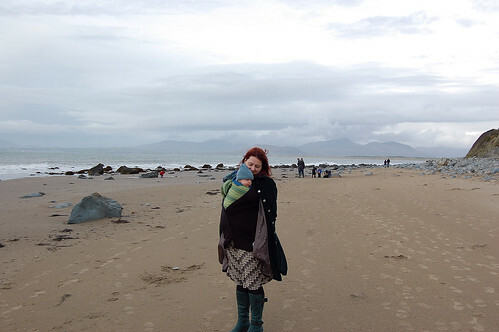 Ernest's first holiday at the beach, it was very windy. How is it we were only away for the weekend,but I have piles of dirty laundry everywhere and my house is a tip? good to see my Koru hat keeping Ernest snug! it really suits him. Great pictures, sounds like you had an great time. Ernest looks a super cute snuggle bug! those cheeks, they're the cuddliest ever! 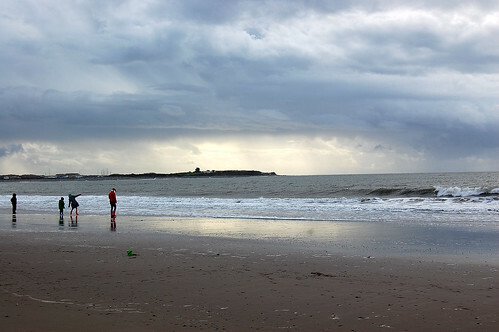 Love the beach photo, beautiful sky, we often get those on the beach in Holland too. Beautiful pictures, as always, but particularly like the one of you on the beach with little Ernest in the sling. Helen, yes it does suit him, I hoped ou'd see the pic of him wearing it. Gorgeous beach! 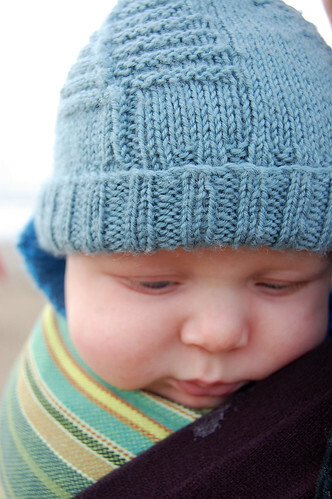 And such lovely babycheeks. I now hesitate about booking holidays because of my dread of all the washing / catching up with house stuff when we come home! So it really has to be a good destination to be worth it. Oh, I love that beach - we have had some wonderful hours on it. Ernest looks as snuggly as always - beautiful!